In Character is Key, Sara Dimerman has done a wonderful service to everyone striving for more harmonious relationships within families. With its focus on core values as integral to the development of an individual's character and its clear recognition of the role of parents in modelling and promoting these values within the first and most important community of one's life, the family, this book is a valuable and timely resource for anyone engaged in the challenge of raising children today. We all want to help our kids become caring, courageous, positive and principled people. But in today's hectic, information-overdosed world there seem to be a thousand influences on them that we are not always happy about. And when they don't act like the kind of people we hoped they would be, we often feel out of control, out of ideas and worried about how to turn things around. Taking greater initiative at home and school? Able to put themselves in others' shoes? Taking more responsibility for their actions? Valuing togetherness as a family and wanting to spend more time with you? Consistently treating peers, adults and themselves with respect? Being honest even when the truth is difficult to share? Courageously facing fears and persisting through challenges? Less influenced by negative peer pressure and able to stand up for what they believe in? Then Character Is the Key is the book you need! Sara Dimerman makes a convincing case that developing character in our children is one of a parent’s most important tasks. In Character Is the Key, she provides an innovative, step-by-step template for families who want to explore the values they cherish and deepen their commitment to living by those values. The character education movement, implemented by educators around the world, is an incredibly successful and growing phenomenon. When important character attributes like honesty, integrity, and fairness are intentionally modelled and taught to kids, they develop an inner compass that continues to guide them in a positive direction. Until now, the missing link has been helping parents with their crucial participation at home. In Character Is the Key, parenting expert and therapist, Sara Dimerman, shares her powerful, step by step plan, to improve communication and bring your family together so that you can unlock the very best in your children - and yourself. Get started today! Thanks for giving us the opportunity to go through this process. My husband has finally realized that he sees the cup half empty and wants to work on being more optimistic. I’m so thrilled that this is coming from him and not me. 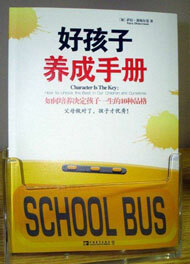 Character is the Key is now available in Chinese. Order the Chinese language version at amazon.cn..
Dynamix is a Canadian-based organization, described by its founders as the leader in team-building and character development for kids and teens. Look for the Dynamix fun family activities created especially for Character Is the Key at the end of the 'Focus On...' chapters in section three. Center for the Advancement of Ethics and Character, Boston University. More than a decade of helping teachers, administrators and parents build good character in today's students and tomorrow's leaders. The Character Education Partnership is a national advocate and leader for the character education movement. It is a non-profit, non-partisan, non-sectarian coalition of organizations and individuals committed to fostering effective character education in K-12 schools. The Center for Character and Citizenship generates and disseminates knowledge and research about how individuals develop moral and civic character and provides scholars, educators and organizations with the tools they need to contribute to this development. Character Community is working to make York Region a Character Community by nurturing positive character attributes. Character Counts is working to improve the ethical quality of society by changing personal and organizational decision making and behaviour. The Centre for Character Leadership serves leaders who strive to inculcate character attributes into every aspect of their organization. The Centre for Character Leadership provides proven coaching and training methods as well as a wealth of real world experience. The Center for the 4th & 5th Rs co-sponsors the Smart & Good Schools Initiative in partnership with the Institute for Excellence & Ethics (IEE). The mission of a Smart & Good School is integrating excellence and ethics: developing performance character (doing our best work) and moral character (doing the right thing) within an Ethical Learning Community. Family By Design™ is customized family coaching intended to help parents, and parents-to-be, set a course for building an emotionally healthy and ethically fit family. 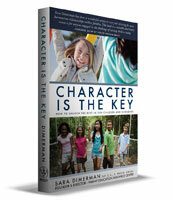 goodcharacter.com - Character education: free resources, materials, lesson plans. helpmesara.com - Your online resource for everything related to helping parents, children, couples, and families. It provides expert advice, articles, recommended reading, and links to other invaluable resources. Dr. Mike Thomson is America's #1 Sanity and Character coach. Leave Out Violence is ending violence one youth, one school, one neighbourhood at a time. School Advocate is designed to provide School Councils, parents, principals, teachers, and the community at large with up-to-date news and useful resources relating to publicly funded education in the province of Ontario. Its periodical is distributed free of charge to all School Councils and School Boards in Ontario and is also available by subscription. Who is Nobody? offers information about a preventative program that builds on EVERYBODY's unique strengths and highlights why EVERYBODY is a SOMEBODY. The program is offered on DVD and can be implemented by families with children from kindergarten to grade 12. The York Region District School Board will give you more information about Character Matters. The Character Matters approach focuses on building and maintaining positive, quality relationships, developing a sense of community, and teaching students important social skills such as cooperation, assertion, responsibility, empathy, and self-control. I was surprised to realize that I was sad after the meetings were over. I enjoyed coming together as a family and being honest with one another. Usually we don’t feel that it is respectful to tell our parents what we really think about some of the things they do. Sara gave us permission.